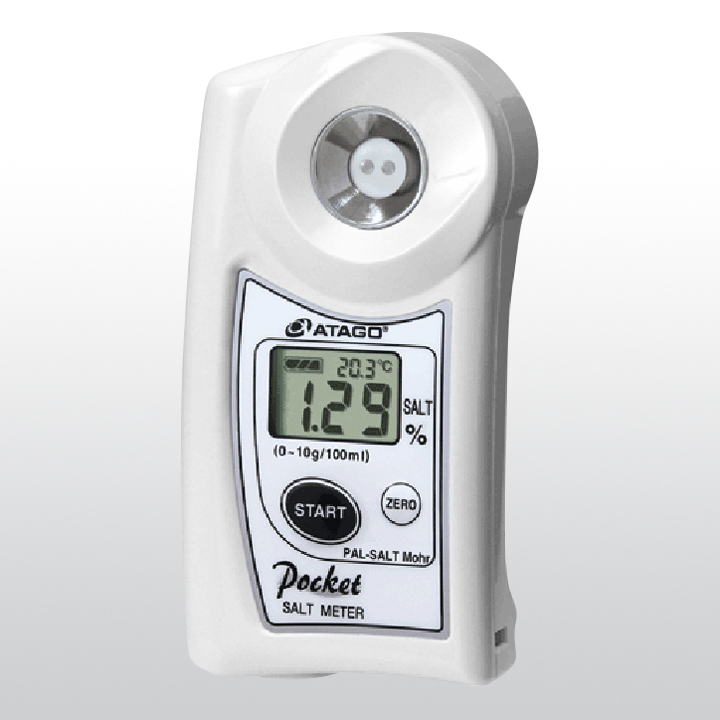 Product information "ATAGO PAL-SALT Mohr"
PAL-SALT Mohr gives a reading similar to those obtained from the Mohr's method (titration). 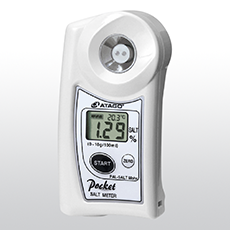 Like other ATAGO salt meters, PAL-SALT Mohr utilizes conductivity to measure samples. This unit also features an offset function which allows readings to be compensated based on known standards. Additionally, when measuring a sample that has been diluted by 10 (ex. 10 grams of sample mixed with 90 grams of water), the salt concentration displayed will represent salt content before dilution. Related links to "ATAGO PAL-SALT Mohr"